Since its inception, the Active Living Alliance for Canadians with a Disability (ALACD) has chosen to operate with its governing body being a Coordinating Committee rather than a Board of Directors. The reason is we are an Alliance that makes and achieves its goals through consensus, collaboration and consultation with our partners and stakeholders. Our governance is in the true spirit of a national network. Doug worked for Community Living Victoria for 7 years and moved on to the position of Coordinator of Integrated Recreation Services with the Municipalities of Greater Victoria. Utilizing the same vision and skills he had demonstrated earlier in his career, Doug has guided the development of Integrated Recreation Services into the partnership of services known as Recreation Integration Victoria (RIV). RIV is recognized across Canada as a premier inclusive service delivery and funding model. Doug has volunteered for a number of organizations over the years including: Co-founder and President of the Victoria Career Development Society; Advisor to the Vancouver Island Head Injury Society; President of the Greater Victoria Alternative Communications Society; Chair of Sports for the Blind and Visually Impaired; member of the Sports Committee with B.C. Summer Games; the British Columbia Recreation and Parks Association; a member of the Vocational Services Committee, British Columbia Association for Community Living; Co-founder and Director of Operations for the Disabled Sailing Association of BC, Victoria Branch; Co-founder and Director of the national Able Sail Network; member of the University of Victoria’s Cooperative Education Council; and a founding Director of the World Disability Union. Doug’s volunteer efforts were recognized with the presentation of an Award of Merit in the Community Leader of the Year division of the CFAX Community Awards. Doug received the University of Victoria’s Co-operative Education Program’s Twentieth Anniversary Award, as well as their Employer of the Year Award. Rick was elected to the Coordinating Committee in the fall of 2016 and appointed as Treasurer. At the University of Guelph in the mid-70’s, Rick was Assistant to the Director of Intramurals and Recreation. He was a founding member on the volunteer Board of Directors that was laying the groundwork in the development of a national association - the Canadian Intramural Recreation Association. Rick then accepted the position of Director of Recreation and Intramurals at Mount Allison University in Sackville, NB, a position he held for 4 years. By 1981, CIRA had grown as an organization and the association hired Rick as the first Executive Director. In 1982, they moved to offices at the National Sport and Recreation Centre in Ottawa. CIRA promoted “something for everyone” through physical activity in intramurals and recreation, at all education levels and advocated participation for all, including children and youth of all abilities. They also developed a student leadership development program, which provided students with tools and training that helped them design and implement their own intramural and recreation programs. Peer led programs resulted in increased student participation in various inclusive physical activities. In recent years, Rick has been involved in home renovations and has done a number of renovations that adapted bathrooms and accesses for persons with disabilities. Christa has expertise in the area of physical activity and health promotion built on thirty years of employed and volunteer experience, as well as an academic foundation in health care, physical education and applied health science. Christa worked as a Registered Nurse, then returned to university to complete a B.A. in Honours Physical Education and two certificates (Fitness Assessment & Exercise Counseling and Sport Administration) at York University. Christa also completed a Master of Arts in Applied Health Science (Health and Physical Education) at Brock University. Christa enjoyed an 18-year career with ParticipACTION (the original and re-established organizations) where she held a variety of roles including National Project Coordinator, Director of Health Communications, and Relationship Manager. Christa also spent five years at Hamilton Public Health Services as a Physical Activity Specialist. She has taught at York University and Sheridan College and helped establish Sheridan’s Exercise Science and Health Promotion degree program. Christa has operated her own consulting business since 1999 with it becoming her full-time focus in 2016. She is also a recipient of the Queen's Diamond Jubilee Medal and a member of the board of directors of the Canadian Fitness and Lifestyle Research Institute (CFLRI). Greg graduated from the University of New Brunswick in 2001 with a degree in Recreation. Since then he has held various positions within the Parks and Recreation Department, City of Saint John. In his current role of Community Services Coordinator, Special Populations, he is working work with community members, stakeholders, government and officials to ensure the City of Saint John continues to be an enjoyable, active, healthy and accessible community for all residents and visitors. In addition, he serves as a board member with Recreation New Brunswick and is the chair of the Inclusive Recreation Committee. Greg joined the Coordinating Committee of the Active Living Alliance for Canadians with a Disability in January 2015 with a special focus on developing Provincial/Territorial partnerships. 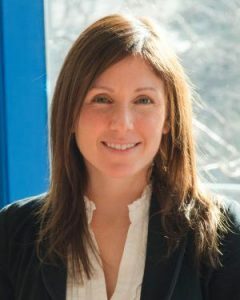 Kelly is an Assistant Professor in Faculty of Kinesiology and Physical Education at the University of Toronto, and an Adjunct Scientist at Holland Bloorview Kids Rehabilitation Hospital. She has research expertise in physical activity and mental health, with a particular focus on disability. Kelly was the Executive Director of a nation-wide telephone-based PA counseling service (Get in Motion) from 2008 to 2016 that supported over 160 Canadian adults with physical disabilities to lead more physically active lifestyles. She is currently the co-founder of an inclusive community-based physical literacy program (Igniting Fitness Possibilities) that aims to foster a passion for physical activity among children and youth across grades 1-12. She has also provided service to numerous community-based health promotion initiatives such as the Canadian Mental Health Association’s Minding Our Bodies Evaluation and Advisory Committees, and the Ontario Trillium Foundation’s Get Active Toronto Research Committee Board. Karin has spent the majority of her professional career working with children with disabilities and is passionate about creating an inclusive culture. 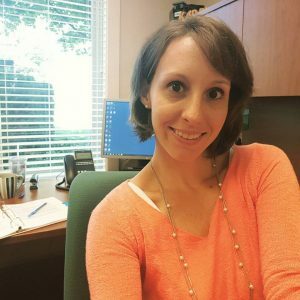 From the time she was a child, she was interested in sign language, adaptive equipment, including classmates with a disability and has continued this passion into her volunteer work and professional work. As a university student, Karin worked as a lifeguard and camp counselor which provided the opportunity to work with campers with disabilities. For five years she taught adapted swimming programs, adapted waterskiing and worked to ensure the inclusion for all in all the programs. Most recently, she has volunteered with Vancouver Adapted Snow Sports to teach sit skiing. Currently, Karin s working as a community partnerships coordinator with a children's hospice in British Columbia and enjoys all the active living that BC offers. From hiking to yoga, skiing to cycling, Karin enjoys it all. Marco is an entrepreneur, accessibility advocate and Inspirational Speaker whose speaking topics are focused on his personal stories of overcoming obstacles and managing major life transitions. He first started speaking in front of large audiences at the age of 10; it was then that he realized the impact that words can have. Since then, he has been involved with a number of organizations as a spokesperson, spreading advocacy for persons with disabilities across Canada, and proving that anything is possible when you invest the right kind of energy and creativity. He is currently working as an Accessibility and Inclusion Consultant for the Province of BC's Accessibility 2024 initiative. Here, he represents the Presidents Group, a committee of business leaders who are dedicated to increasing inclusive employment opportunities for persons with disabilities and implementing accessibility best practices within their workplaces. Marco has been involved with the Active Living Alliance for Canadians with a Disability for over 12 years in a number of capacities. Jane Arkell is dedicated to the area of access and inclusion for individuals with a disability. Her work is primarily in the field of health promotion. Jane has been Executive Director of the Active Living Alliance for Canadians with a Disability since its inception in 1989. In addition to her dedication to the Active Living Alliance, she also works with Spinal Cord Injury Canada on the Canadian Access and Inclusion Project. She sits on several committees to further inclusion in Canada such as the Accessibility Standards Council (Accessibility for Ontarians with Disabilities Act), CNIB Lake Joseph Centre, PHE Canada Afterschool and Intramurals Committee and ParticipAction 150th Celebration. Jane has a background in Sports Administration and is currently furthering her credentials in Universal Design.